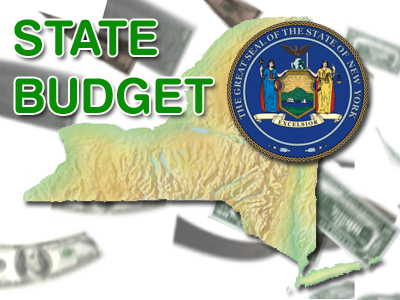 Assemblymember Monica P. Wallace (D-Lancaster) and local elected officials are expressing deep concern over the 2019-2020 Executive Budget Proposal, which purports to slash funding to local towns and villages in Erie County and across the state. Under the Executive Budget Proposal, towns and villages that rely upon Aid and Incentives to Municipalities (AIM) funding for less than two percent of their overall budget would see that funding completely eliminated. The proposed cuts do not affect cities, which receive the vast majority of AIM funding, or localities in which AIM funding accounts for two percent or more of the municipal budget. The proposed 2019-2020 budget includes $655,576,729 in AIM funding, a decrease of $59,154,972 from the $714,731,701 included in last year’s 2018-2019 enacted budget. However, the brunt of those proposed cuts will be borne exclusively by towns and villages. The proposed cuts will eliminate funding for 24 of Erie County’s 25 towns and 13 of the 15 villages in Erie County. Only the Town of Alden and the villages of Kenmore and Sloan are unaffected by the proposed cuts to AIM funding. Meanwhile, the proposal seeks to maintain last year’s funding levels for all cities across the state. “If these proposed cuts were to go forward, town supervisors and village mayors would be faced with having to cut services and raise taxes. That’s not acceptable, and I intend to fight to fully restore AIM funding,” concluded Wallace.